Season the breasts with sea salt. Render the skin side of the duck until golden. Cut lengthwise into thin strips. 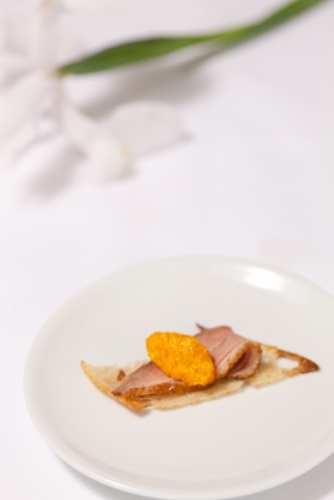 Arrange on the crispy ciabatta, garnish with the mandarin segments.